Doha: With the resumption of 2018 World Cup qualifiers on September 1 and a possible La Liga debut for the country’s brightest young star, it’s a big few weeks for Qatar. But just as important for the Gulf state’s football development is what happens at tiny Belgian Pro League club, KAS Eupen. It is the first time ‘The Pandas’ have been in Belgium’s top tier — pitting themselves against heavyweight clubs such as champions FC Bruges and Anderlecht — since being taken over by Qatar’s Aspire Academy in June 2012. On Saturday, Eupen, from Belgium’s small German-speaking community, play their first home game of the season at the 8,363-capacity Kehrwegstadion against a grand old name of Belgian football and former winners of the old European Cup Winners’ Cup, Mechelen. The season began badly with a 3-0 defeat at Zulte Waregem, compounded by the sending-off of Ghanaian winger, Eric Ocansey. But Belgian football watchers believe Eupen have a good chance of survival. “Only one team goes down this year and the sporting director said they will be taking things step-by-step,” says Mark Rodden, who commentates television coverage of the Belgian Pro League. Club officials, though, claim that staying up is just one aim for the season. Despite the high-profile ownership of Paris Saint-Germain by Qatar Sports Investments, Qatar Airways’ shirt sponsorship deal with Barcelona and the purchase of Malaga by a member of Qatar’s ruling Al-Thani family, Eupen is arguably the most interesting footballing acquisition by Qatar, which will host the 2022 World Cup finals. The renowned Aspire Academy, based in Doha, has spent millions trying to develop young Qatari and international sports stars over the past 12 years. Several of Qatar’s Olympic team about to compete in Rio, including the country’s best hope for its first ever gold, high jumper Mutaz Barshim, are Aspire graduates. But it has been most prominent in football. And Eupen has been the showcase for a significant number of those who have passed through Aspire. “So far, in total, 13 Qatar Aspire talents and 25 scholarships from the Aspire Football Dreams project are and have been with KAS Eupen since 2012,” says Bleicher, Aspire’s Chief Advisor of International Football Affairs. Aspire Dreams is a scouting project, identifying talented 13-year-olds across 18 countries, mostly in Africa, including Senegal, Mali and Gambia. Bleicher adds that 44 Aspire graduates have represented 10 different countries at full national level. 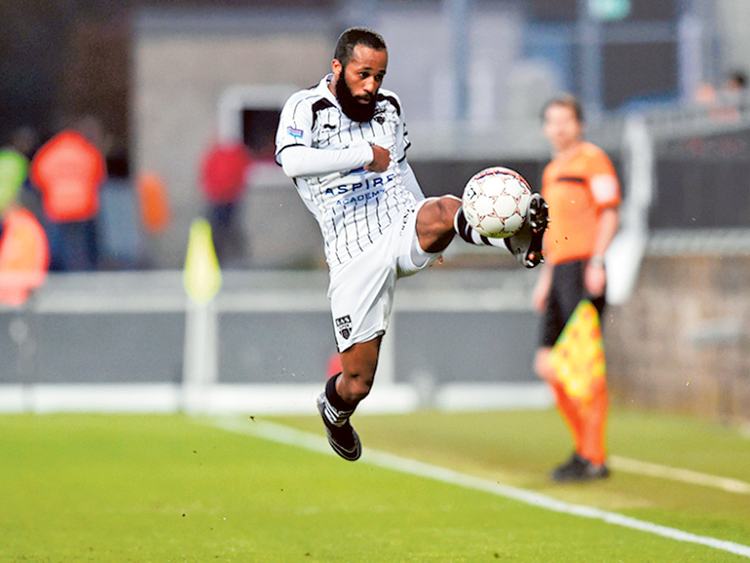 This season four Qataris are expected to be in Eupen’s squad, including Fahad Al-Abdulrahman, a defender who has represented his country at Under-23 level. Bleicher insists it is not Aspire or Eupen’s aim to produce players for Qatar’s national side. Even so, it may be a significant by-product. Last season, Aspire graduate Akram Afif scored eight goals for Eupen during their promotion push and the 19-year-old has been rewarded with a transfer to Spain’s Villareal, who subsequently loaned him for the season to La Liga rivals Sporting Gijon. If he plays at any point in La Liga, he will be the first Qatari ever to do so. Afif has also just been drafted into Qatar’s national squad as the country chases its first ever qualification for the World Cup in Russia in 2018. Players from Belgium, Venezuela, Nigeria and Ivory Coast and Spanish manager Jordi Condom contribute to the international flavour at Eupen, which may not be a coincidence, says Rodden. “There are not as many restrictions on non-EU players in Belgium. “There’s a good tradition of young foreign imports starting off in Belgium before moving on to bigger and better things — think Yaya Toure at Beveren — and I think that’s probably the owners’ goal.